Inspired by designer toys and stylized character collectibles, Funko presents BLOX Uglydoll Figures. These wacky-adorable vinyl figures feature your favorite characters from the Uglyverse! This special 2012 San Diego Comic Con Exclusive limited edition features white-to-blue gradient paint colors. 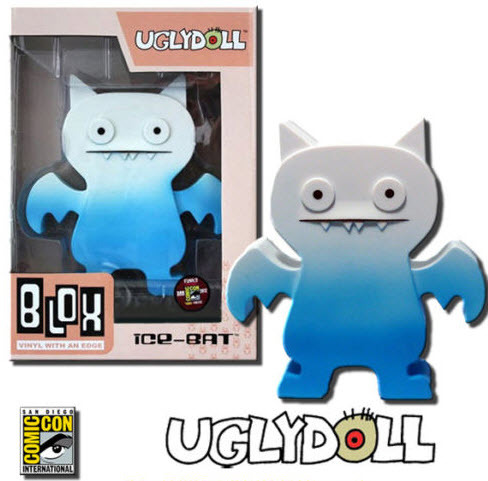 Uglydoll Ice-Bat figure stands approximately 7 inches tall and comes in a 4-color window display box.